We are excited to be the title sponsor of Surf Air Italiana Lamborghini Gala,” said Surf Air’s Co-Founder and CEO Wade Eyerly. Our members are looking for a premiere experience with like-minded individuals, similar to those attending this exclusive event. 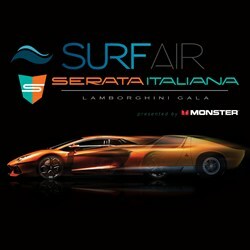 Serata Italiana’s newest sponsor Surf Air (http://www.SurfAir.com), the nation’s first all-you-can-fly, membership-based private air service, takes flight as title sponsor thereby naming the gala Surf Air Serata Italiana Lamborghini Gala. This is a sublimely fitting partnership as Automobili Lamborghini celebrated its 50th anniversary with the launch of Egoista, a jet and aviation inspired Lamborghini. Launched just one month ago, Surf Air is a new, convenient way to fly between the Los Angeles metro area, San Francisco Bay Area, and Santa Barbara, with additional cities to come. * For a nominal monthly fee, members have access to unlimited flights on executive aircraft to and from private air terminals. In addition, members receive invitations to exclusive member events and access to a first-class concierge service. The Surf Air Serata Italiana “Ignite Your Senses & Take Flight” Lamborghini gala is held on Saturday, August 17, 2013, at Pasadera Country Club, Monterey, CA from 6:30 p.m. to 10:30 p.m.
Tickets for this year’s gala are sold out but a waiting list has been implemented on the Serata Italiana (http://www.SerataItaliana.com) website. Guests can expect many surprises including a red carpet champagne greeting leading into Pasadera courtyard, where visual senses are delighted by more than two dozen new and vintage Lamborghinis on display, ranging from the original Lamborghini tractor to the extremely rare Lamborghini F1; sponsored by Lamborghini San Francisco and Lamborghini Los Gatos. For entertainment, guests will take flight and ignite senses at the Monster Products lounge equipped with customized Lamborghini headphones for each guest, a Jo Malone scentualized lounge with packaged scented gifts, Michelle haut Chocolat sinful delectable handcrafted truffles and signature M bars lounge and a Mangria bar serving Signature Orange Sangria and Peach & Pear on tap. Guests will also have the chance to win some amazing exclusive raffle items with 100% of proceeds benefitting Big Brothers Big Sisters Orange County. Surf Air is an all-you-can-fly private air travel membership that provides business and leisure travelers with exclusive, hassle-free air travel, saving valuable time and money. The company provides first-class service on executive aircraft to and from convenient local airports in the San Francisco Bay Area, Los Angeles metro area and Santa Barbara with extended service to additional locations to follow. Operating out of local mid-sized airports, Surf Air offers an affordable and sophisticated travel experience for frequent regional travelers. For more information, visit http://www.SurfAir.com. Serata Italiana is a Saturday night Lamborghini Club America gala held during Pebble Beach Concours d’Elegance and Monterey Car Weekend. 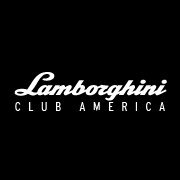 Lamborghini Club America is the world’s largest organization of Lamborghini owners and enthusiasts. Serata Italiana Gala is a sold out event every year where attendees celebrate the Lamborghini lifestyle and camaraderie.